Creating floating corner designs is a simple and easy way to add a little creative style to Divi Modules that you may not have thought was possible without custom code. Good news! 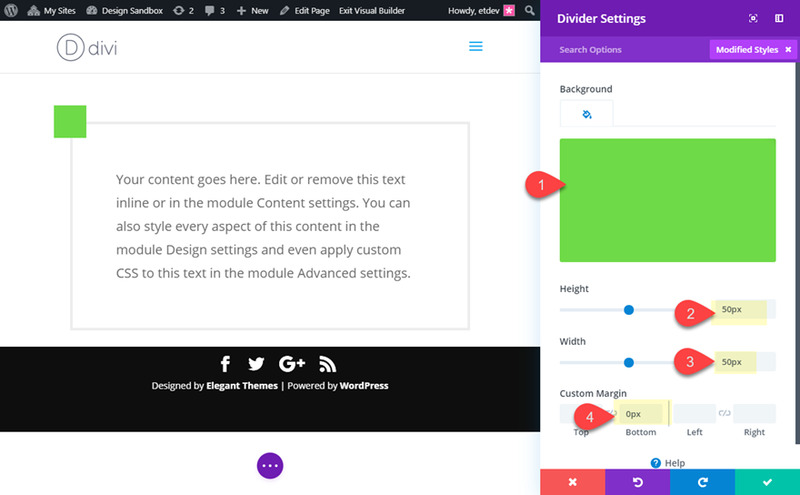 With Divi, you can use dividers and blurbs to style the four corners of your module using Divi’s built-in options. And, it can be pretty fun to try out the different possibilities. In this tutorial, I’m going to show you how to create floating corner designs for your content in Divi. Once you have the elements in place, you can style those corners with countless shapes, icons, and colors! Here is a sneak peek of the floating corner designs possible from this tutorial. To lay your hands on the floating border designs layout, you will first need to download it using the button below. To gain access to the download you will need to subscribe to our Divi Daily email list by using the form below. As a new subscriber, you will receive even more Divi goodness and a free Divi Layout pack every Monday! If you’re already on the list, simply enter your email address below and click download. You will not be “resubscribed” or receive extra emails. Now let’s get to the tutorial shall we? The only thing you need for this tutorial is Divi. 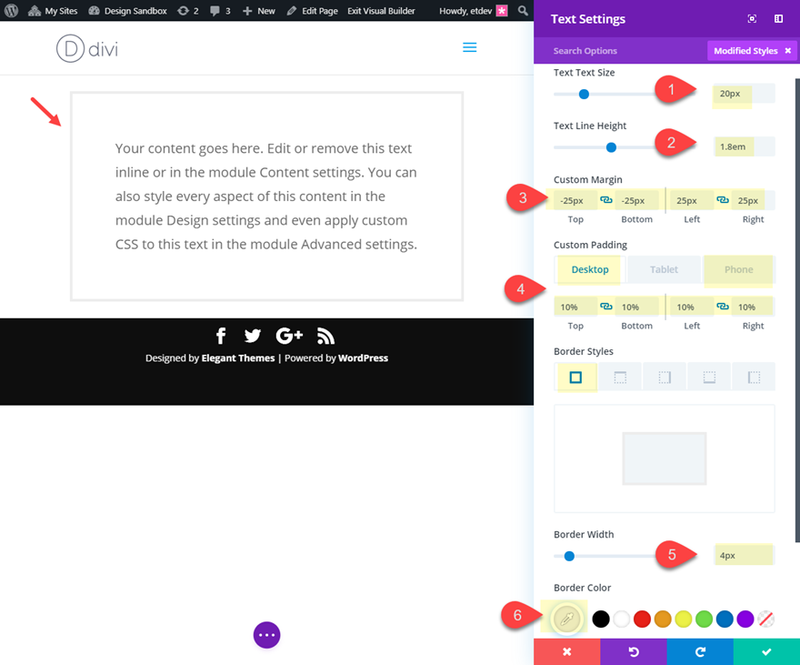 We will be building these examples from scratch on the front end of the Divi Builder. To get started, create a new page and give your page a title. 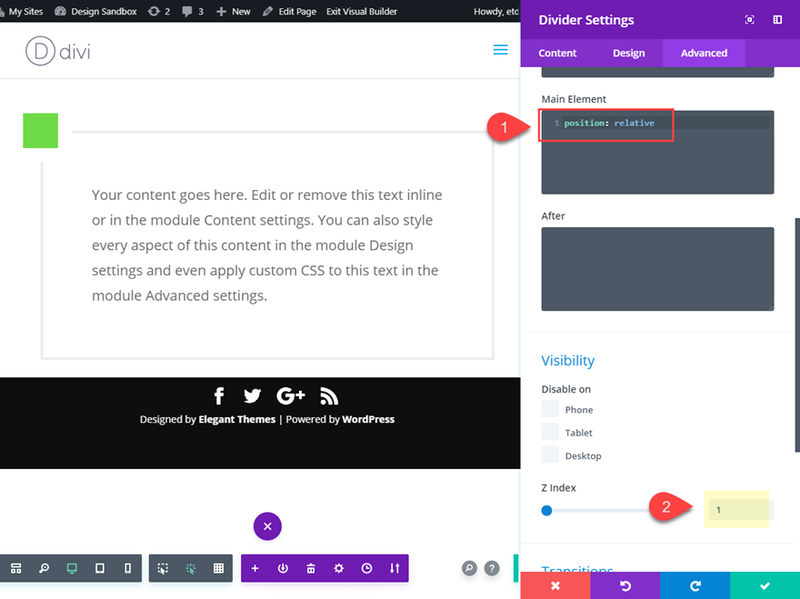 Click to use the Divi Builder on the front-end and choose the option “Build from Scratch”. Since there are going to be countless design possibilities with this design, it makes sense to create the basic layout (or template) to work from. 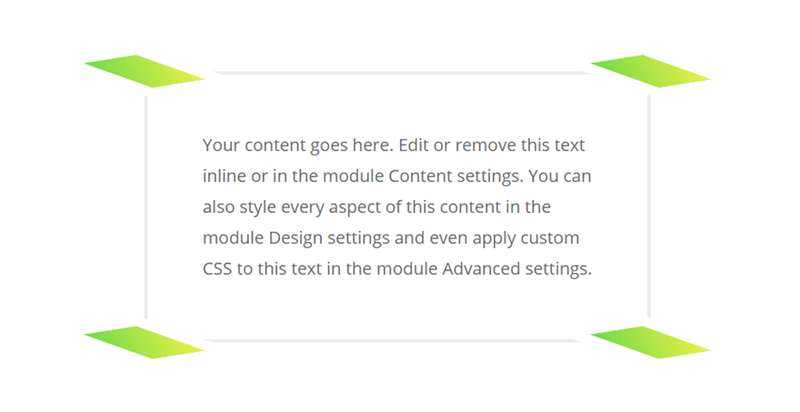 For this template, we are going to add four dividers to each corner of a text module. Then once the layout is in place, you will be able to explore new ways to customize those dividers for unique designs. First, create a new regular section with a one column row. 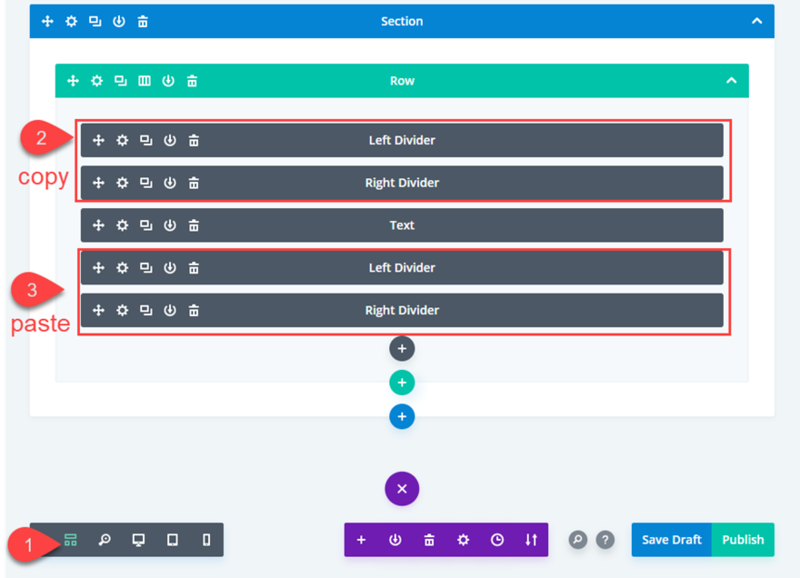 The custom margin and padding is going to help align our divider modules we will be adding shortly. Since the dividers will have a height and width of 50px, the -25px top and bottom margin will pull those dividers halfway into the text module for a nice symmetrical design (you’ll see). 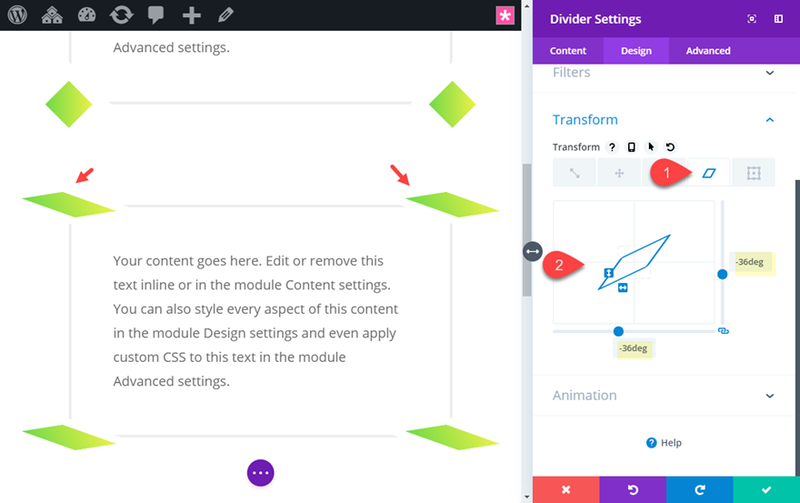 With the text module in place, we can start adding the top two floating corner designs using divider modules. 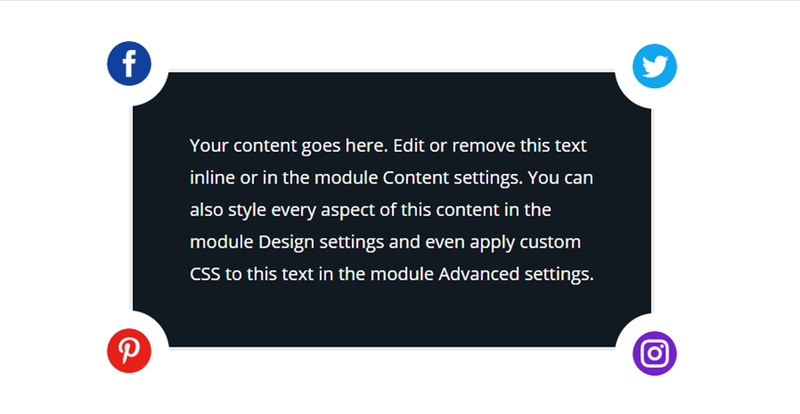 Create a new divider module and drag it to the top of the text module. The 50px height and width gives us the perfect square we can use for our floating border. Then update the Z Index to 1. This aligns the divider to the right and pulls it up the exact height of the divider module sitting above it. This creates the exact corner placement we are looking for. 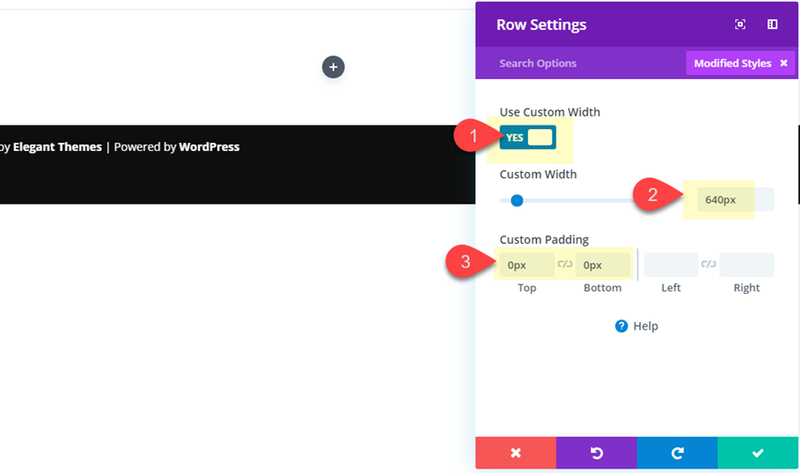 To add the two bottom corner dividers, deploy the wireframe view mode and copy the left and right dividers you just created and paste them below the text module (making sure the left divider stays stays stacked on top of the right divider as shown in the image below). That’s it! Let’s check out the final design of our basic layout. With this template in place, we can explore some different designs that are possible. You can save this entire section to the Divi library so that you can keep it as a template going forward. But for now, let’s just duplicate the section and explore a new design. 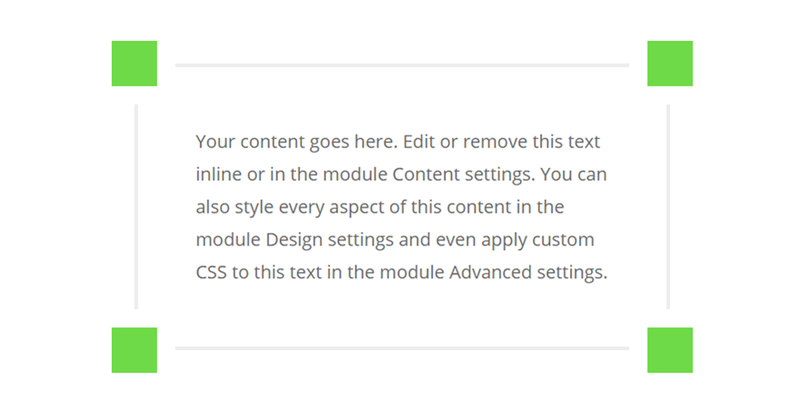 With a duplicate of our template in place, use the multiselect feature to select all four of the divider modules. 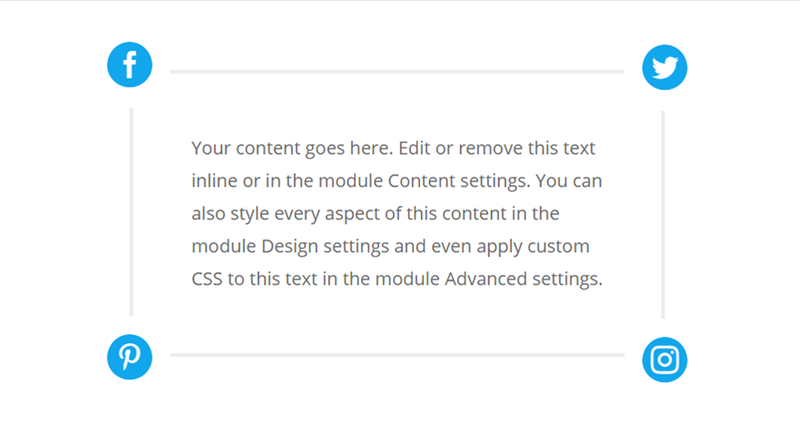 Then click the settings gear icon on one of the selected dividers to deploy the element settings modal. It might help to use click mode for this step. Then use the transform options to rotate the divider into a diamond shape. You can also use the transform skew option to skew the dividers for an even more unique design. You can either add a separate skew design for each divider, or use multiselect to update the transform skew for all four at the same time by -37deg on the X and Y axis. Here is what that would look like. You can even experiment with adding a dark background color to the text module for a unique floating corner design. Here is an example of the text module with a background color of #002130 using the without an transform rotate or skew. Since the dividers are 50px by 50px, this will create a perfect circle design. As you can see there are a ton of different ways you can tweak these elements for countless new corner designs. 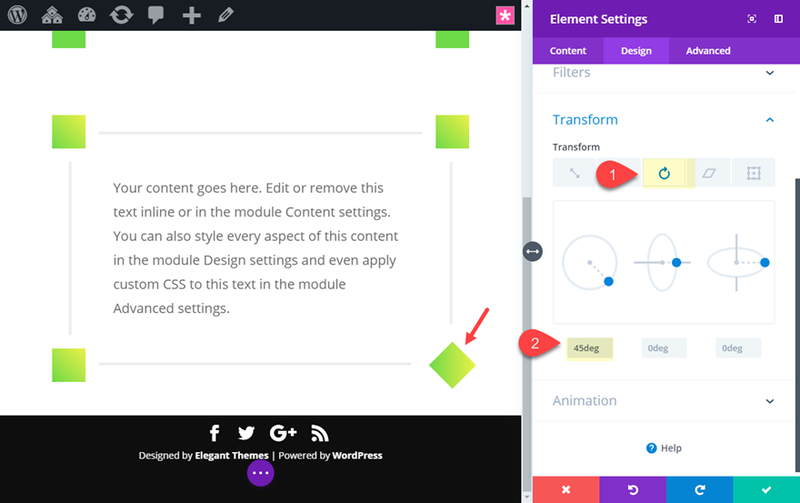 Now, let’s explore using blurb icons for floating corners instead of divider modules. Adding Blurb icons to each corner of the text module can give you even more unique designs. 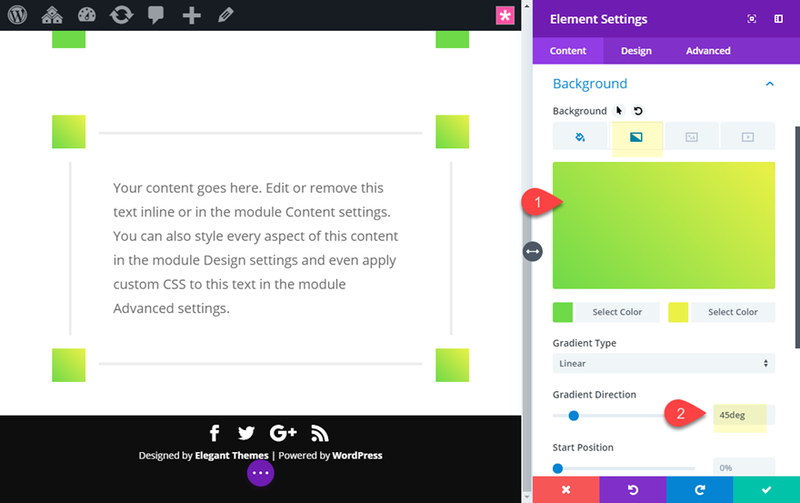 You can use the same layout template we built at the beginning of the tutorial. The only difference will be using blurb modules instead of divider modules for the four corners. 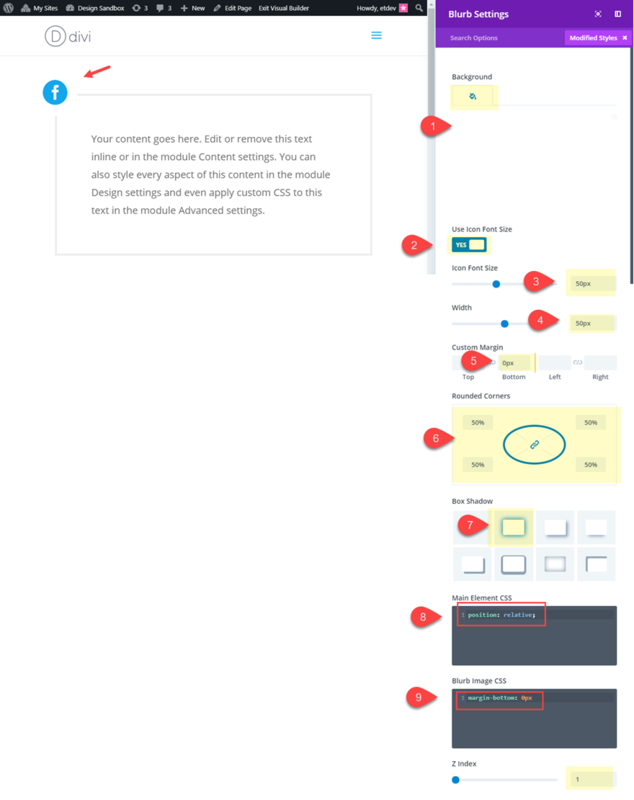 Go ahead and get a duplicate of section layout template deployed. 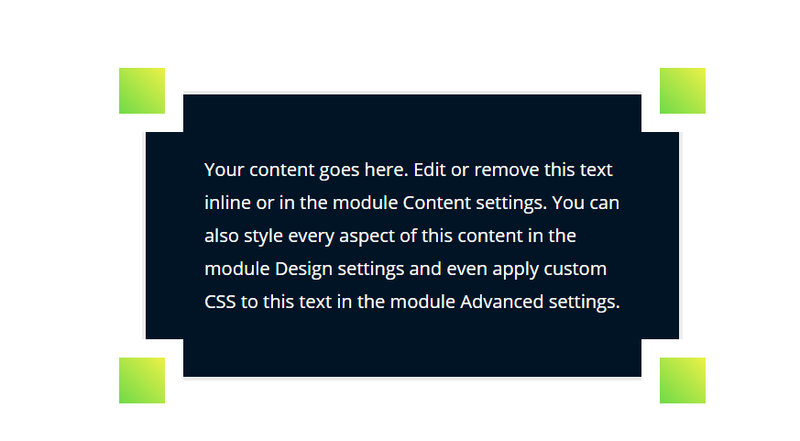 Then delete the divider modules above and below the text module. Since we are only going to want to use the blurb module to display a single icon, we need to make sure and get the size and spacing correct. 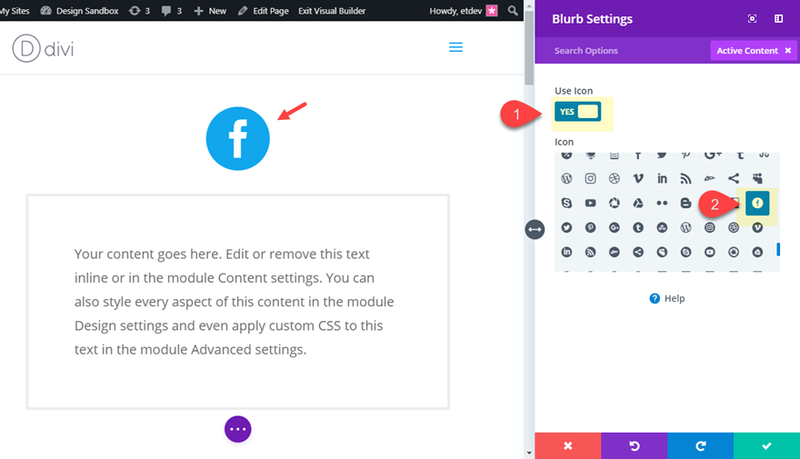 Add a blurb module above the text module and take out the title and body text. Then click to use an icon instead of an image and select the circle facebook icon. Then copy the top two blurb modules and paste them under the text module (making sure the left blurb stays stacked above the right blurb). Then you can update the icons for each blurb to whatever you want. With this setup you can explore many unique designs. You can change up the icons, use different color combos, and even scale or rotate them with transform options. 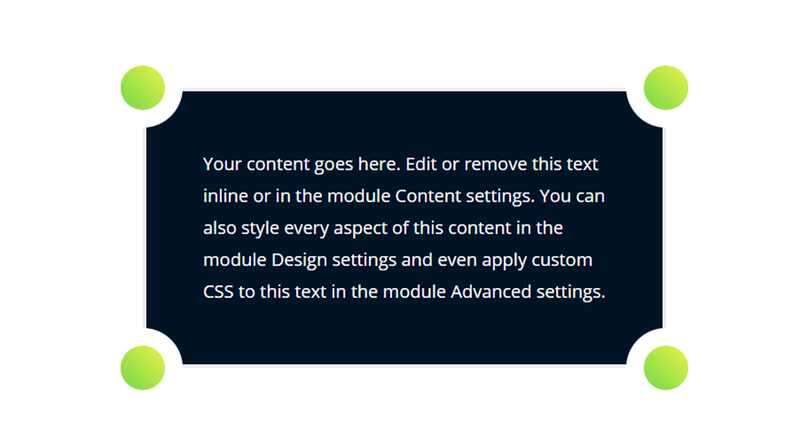 Here is an example of the design using a dark background color for the text module and different icon colors. 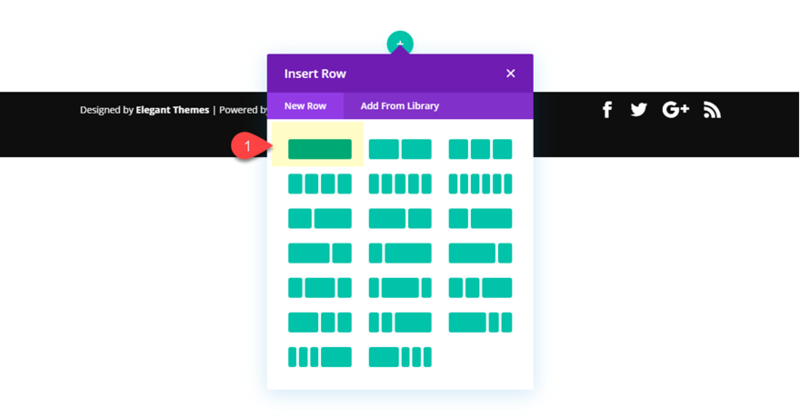 As long as you keep the elements together, you can add these floating corner layouts in multiple columns. 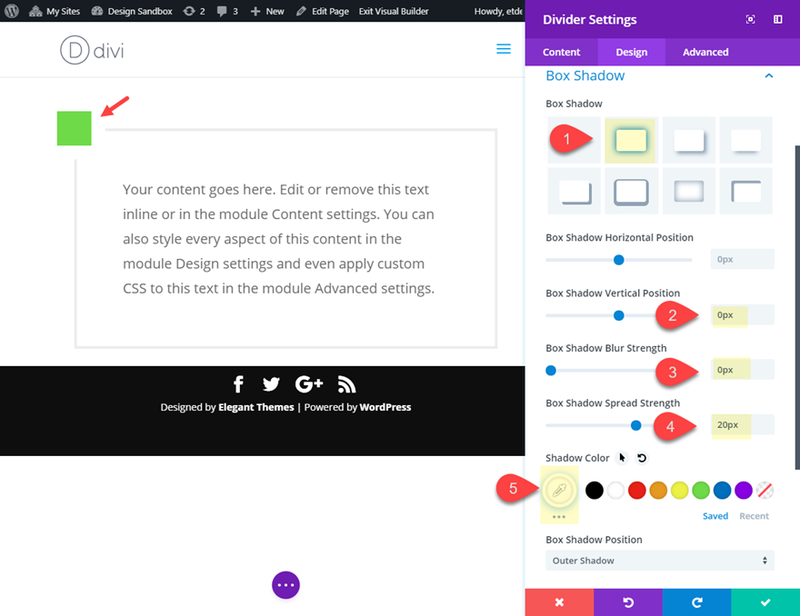 Creating floating corner designs for your content in Divi really does showcase the power of Divi builder. With all of the built-in options available, you can create countless design variations from one basic layout template. I hope this will inspire you to have some fun exploring new designs of your own. The post How to Create Floating Corner Designs for Content in Divi appeared first on Elegant Themes Blog.